Look in your mailbox. 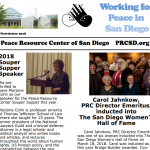 Your 2018 PRC Falls News is coming! Contact us at info@prcsd.org to make sure we have your latest contact information. ← Previous Previous post: Are you ready? Souper Supper & our Annual Membership Meeting Nov 18! Next → Next post: Meet the 2019 Board of Directors!